With the shifting nature of the global economy, and the growing competition between countries and companies for talent, education quality is more important than ever. Both personal success and national competitiveness increasingly depend on what are known as “21st Century skills” — skills that qualify workers for success in higher value added industries and position them to be entrepreneurs and innovators. Much as the industrial revolution necessitated a paradigm shift in education in order to train a modern workforce, the changes wrought by technology and globalization require that we rethink how we educate our citizens. Educación 3.0: The Struggle for Talent in Latin America, the book that I recently published, is an attempt to address this need for educational transformation in both the US, with its more than 50 million Hispanics, as well as throughout Latin America. Across the hemisphere, Latinos are facing similar education challenges. These include high dropout rates, low quality of instruction, and a troubling disconnect between school and what awaits them in the labor force. In the US, Hispanics, like other minorities, struggle with a stubborn “achievement gap” at the same time that their numbers and influence on the national economy has grown to unprecedented levels. And Latin American educational performance trails behind international averages at the same time that a decade of robust growth has created a burgeoning middle class that is demanding better schools and more opportunity. That is why education innovators matter now more than ever. Pursuing the same status quo policies of recent decades will not result in different outcomes. Nor will simply throwing more resources at the problem help much, if at all. 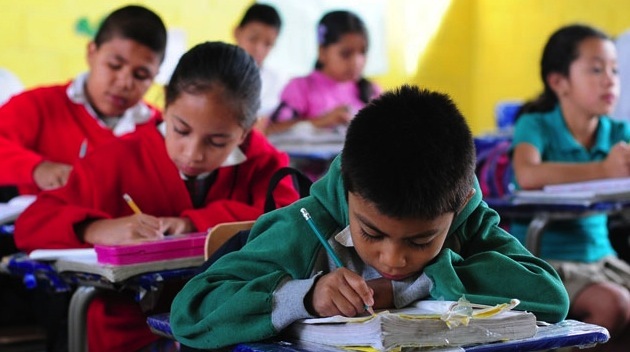 Latin America already spends a relatively high percentage of the GDP on education, with a regional average of over 4 percent approaching that of the OECD average, with a number of countries, including Mexico and Argentina, spending over 6 percent. Yet Latin America’s performance, when measured against international indicators, has continued to stagnate. Indeed, the entire framework of how we conceive of education must be updated. And in many cases, non-government actors are better positioned to bring innovation to our education systems. Social entrepreneurs, non-profit organizations, NGOs, and private sector leaders are all pioneering new models of teaching and learning, new methods of training teachers, and better systems of evaluation. There are thousands of such projects in both Latin America and the US. There is Colombia’s Gente Estrategica, which provides skills training for Afro-Colombians displaced by the country’s long armed conflict. There is Academica, founded by Fernando Zulueta, a network of over 100 charter schools across the United States. The Mexican entrepreneur Claudio Gonzalez began the non-profit education reform outfit Mexicanos Primero, while World Fund is training teachers in Brazil and private schools like the Instituto Superior Santo Domingo are offering continuing education for adult dropouts in Argentina. These entrepreneurs, men and women, for and non-profit, are impacting thousands of students and teachers. Their many experiments are providing invaluable trial and error evaluations of new approaches, the most successful of which can then be scaled up to regional, national, or even international programs. And while governments are not in the best position to create innovative new models, the public sector still has a critical role in regulating education in order to ensure equal opportunity and equal access to quality education, especially for lower income citizens. Educación 3.0, as I argue, must combine both flexibility and openness along with stringent oversight. Education ministers must make sure that new types of service meet quality standards, without adding excessive regulations or byzantine bureaucratic requirements. Educación 3.0 tackles these issues head on, through the stories of the educators, innovators, and entrepreneurs who are pushing the envelope in their respective fields. Hopefully this close up look can help define what is perhaps the most important challenge of our generation: how to influence and inspire the next generation of reformers to get involved in improving education from the bottom up. Gabriel Sanchez Zinny is the founder and President of Kuepa.com, a blended learning company in Latin America, and a frequent commentator on issues of education and entrepreneurship at the Huffington Post and elsewhere. You can follow him on Twitter at @gzinny. No Se Mancha’s own James McBride was also editor of and contributing author to Educación 3.0. This entry was posted in Uncategorized and tagged 21st Century skills, achievement gap, Brookings Institution, educacion 3.0, education, Gabriel Zinny, Globalization, innovation, Latin America, Latin America blog, Rebecca Winthrop. Bookmark the permalink.